Freecharge – Get Rs 10 Cashback on Rs 10 Recharge or Bill Payment. Freecharge is back again with new offer where you will get the Flat Rs 10 Cashback on your Mobile Recharge or Bill Payments. Offer valid for one time per user only for limited time. So hurry up and avail this offer !! Note:- Working on Airtel as well !! 4) Now Initiate a Mobile Recharge or Bill Payment of Rs 10 or above. 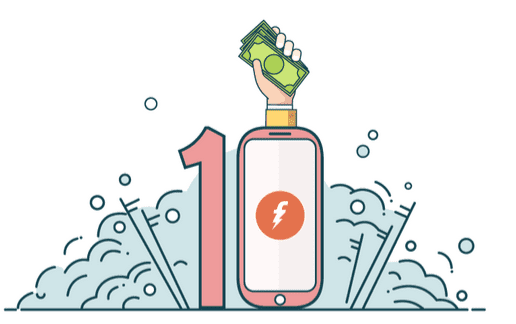 7) Then you will get the Rs 10 Cashback in your Freecharge wallet. 1. Promocode is Applicable to All Users. 4. Promocode is Applicable on Recharge and Bill Payment of minimum Rs. 10. 5. Valid on credit/debit card/Netbanking/ FreeCharge Balance & UPI transactions only. 6. Cashback will be credited to your FreeCharge Wallet which can be redeemed within 185 days from date of credit, and is non transferable. Offer valid on FreeCharge App/web/msite.